On the webpage, "Greatest common factor" we are going to see how to find HCF or GCF. 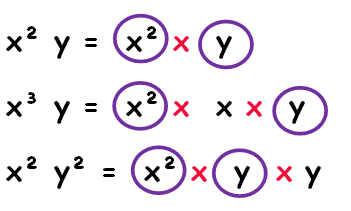 We have two methods to find greatest common factor of given numbers. What is greatest common factor (G.C.F)? Find the divisor of given numbers. List the prime factors of each of the given number. For algebraic expression we have to find factors. List the common factors of the given numbers or common factors. Greatest factor among them is 6. 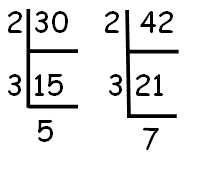 Multiplying the common factors, we get 2 x 3 = 6. After having gone through the stuff given above, we hope that the students would have understood "Greatest common factor with variables and exponents examples". Apart from the stuff, "Greatest common factor with variables and exponents examples", if you need any other stuff in math, please use our google custom search here.